Superb performance and great handling. Not too difficult to live with day-to-day. Acceptable ride quality in Comfort setting despite 30 profile tyres. Uncomfortable ride in +R mode. Poor turning circle. Navigation optional. 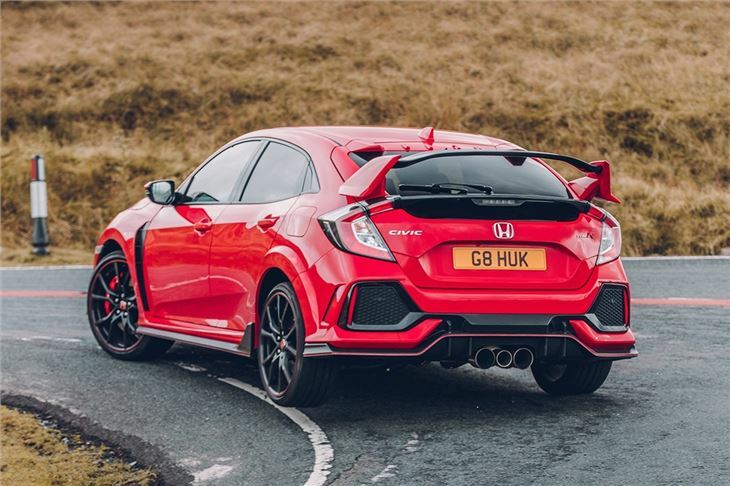 Hot hatches have never been as powerful or wild as they are now – and the Honda Civic Type R is probably the wildest of the lot. And that’s not just because it has a giant spoiler and angular styling – it also has a massive 320PS on tap and a huge 400Nm of torque, delivering exhilarating performance. That results in a 0-62mph time of just 5.7 seconds with a top speed of 169mph. And while those aggressive looks do turn heads, they're not just for show. The spoilers, vortex generators and various other pointy addenda are designed to provide downforce and stabilisation at high speeds. 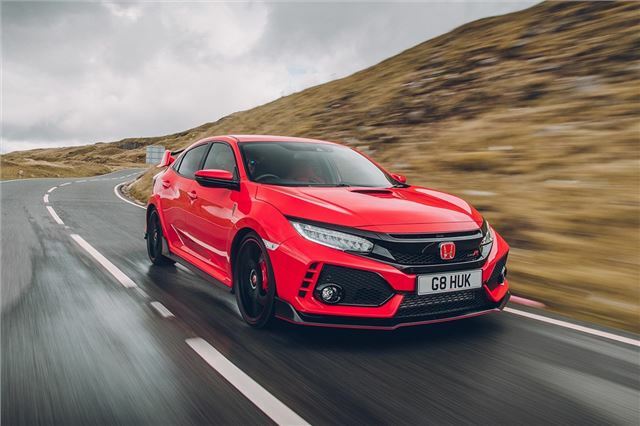 The result of all the aerodynamic honing, performance and handling tuning is the front-wheel drive lap record for the Nurburgring - in case you care. 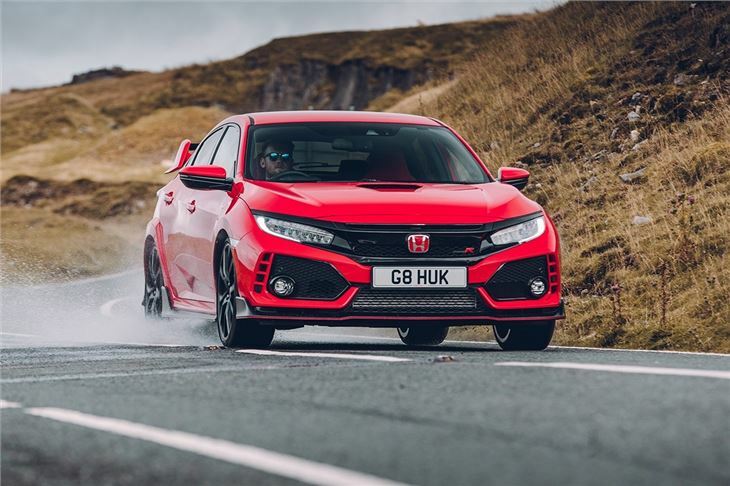 So it has proven handling prowess and that shows on the road – with precise steering and huge grip levels through corners. But it’s fine day-to-day too. 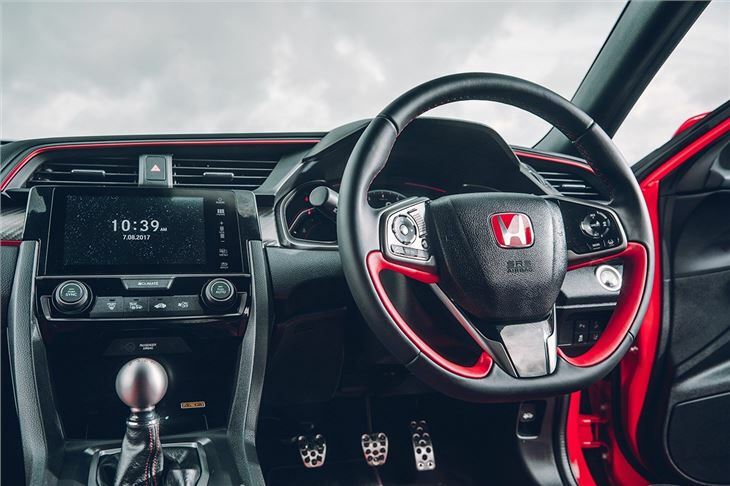 There’s a comfort driving mode that provides decent ride quality and reasonably light steering, so town driving isn’t a chore – while the purposeful exhaust note doesn’t sound too loud if all you want to do is get home in peace. The only fly in the ointment is a heavy clutch that’s hard work in traffic. It’s practical too. Boot space is the same as the regular hatchback, so there’s room for all your family gear including pushchairs and shopping, while the back row is spacious enough for adults to sit in reasonable comfort. 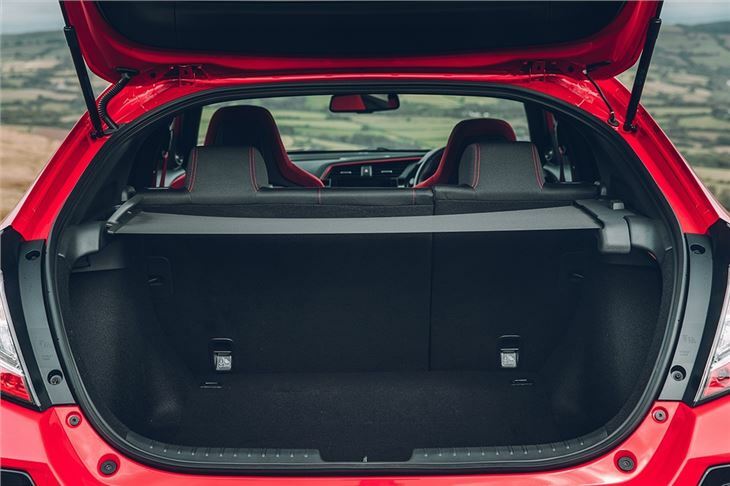 The front bucket seats do have hard side bolsters though, so some people might find them uncomfortable or hard to get out of. 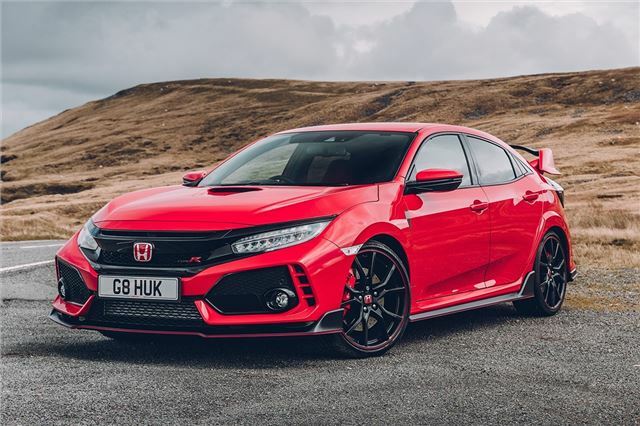 If you want your hot hatch to turn heads, then the Civic Type R beats rivals like the Ford Focus RS hands down. It has great performance and handling too – and yet it’s a car that isn’t too tricky to live with on a daily basis. 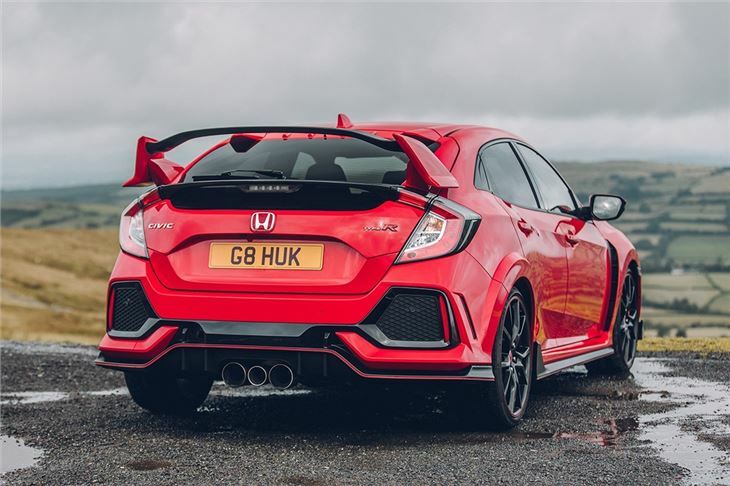 And that’s exactly what a hot hatch should be – an everyday performance car.